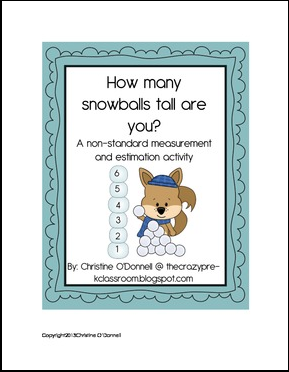 How many snowballs tall are you is an estimation, graphing and non-standard measurement activity from my new Snowman Math and Literacy Unit. This freebie includes all of the graphics and instructions you need to complete an engaging math lesson. Common Core aligned. Please leave feedback and follow my TpT store and blog!